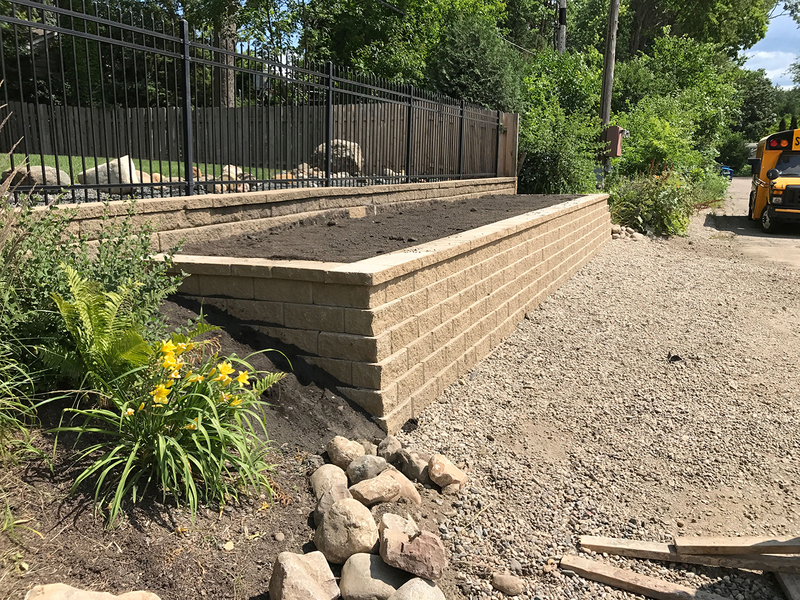 Brick Retaining Wall - Harold J. Pietig & Sons, Inc. 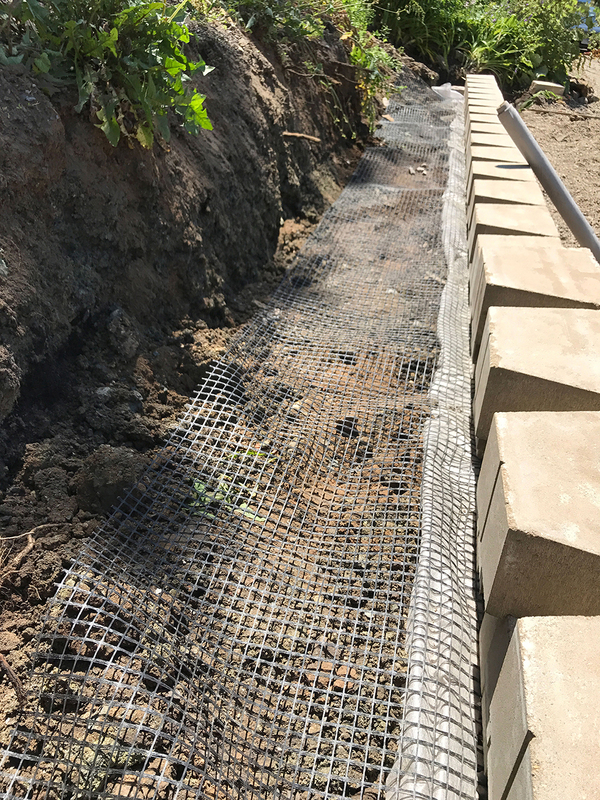 Retaining walls provide lateral support to vertical slopes of soil in your front or backyard. They retain soil which would otherwise collapse into a more natural shape. Clean up your front or backyard with a stone retaining wall. Create more outdoor living space along with adding in functionality to your outdoor landscape design. Retaining walls are for merely holding back soil, but you can use them to create outdoor living spaces that are beautiful and incorporate multi-use spaces for landscaping designs. Landscape retaining walls serve practical and aesthetic purposes. 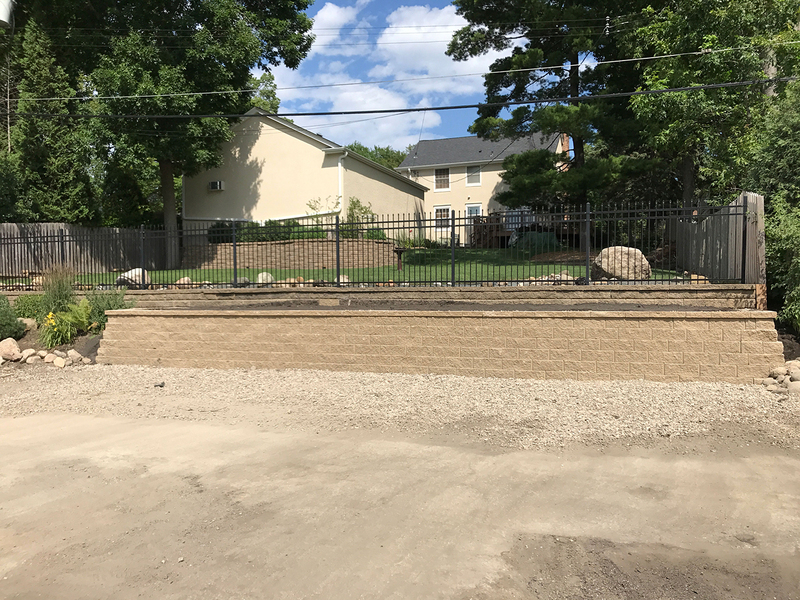 Harold Concrete provides residential and commercial retaining walls in the Twin Cities area in Minnesota. With over 62 years of experience help us to envision creative solutions for your retaining wall.